This week in DP HQ, we’ve been busy preparing for our next big events in the Autumn. The month of September sees the UK Public Sector Communication Awards & Conference, the UK Agency Awards, Benchmark Search Conference and the NHS Liverpool and Broadgreen Trust Make A Difference Awards, as well as several awards submission deadlines! Our first event of the Autumn goes to the UK Public Sector Communication Awards & Conference. The team will be down in London at the prestigious Montcalm Marble Arch on Wednesday 6 September managing a half day conference and fabulous awards ceremony in the evening. The UK Public Sector Communications Awards celebrate and reward excellent communication strategies and campaigns, teams and individuals in local and national government, emergency services and not-for-profit bodies from across the UK. We’ve also been keeping busy on the Pride of Tameside Business Awards. The awards celebrate the outstanding work of businesses from different sectors and inspirational individuals from across Tameside. The awards are free to enter and feature categories for businesses across all sectors, as well as awards for individual entrepreneurs and services. There are 22 categories open to entry, including awards for catering, health, digital, tourism and ecommerce, as well as overall business awards such as Best New Business, Family Business of the Year and Entrepreneur of the Year. If you’re a business that is located in Tameside, Greater Manchester, get your entries submitted before the deadline! Entries are open until 8 September 2017. 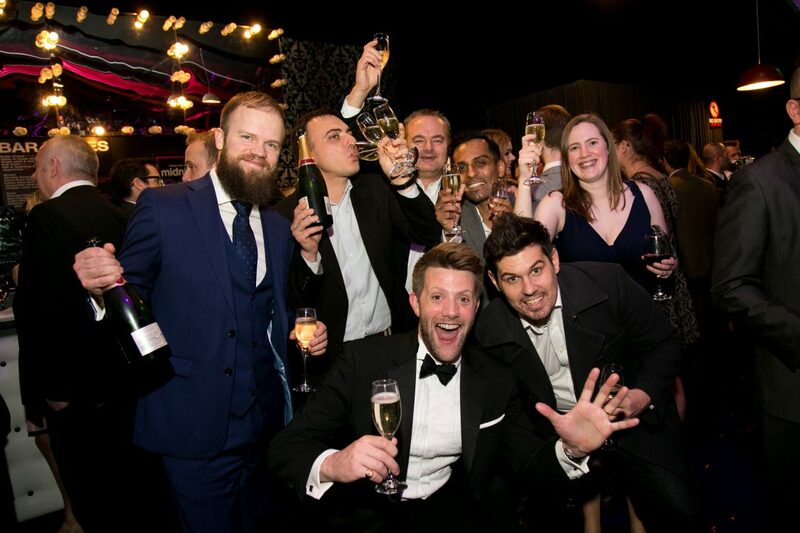 The UK Agency Awards celebrate and reward all creative, design, digital, marketing, advertising, media and public relations agencies that are based in the UK. The event will take place on Wednesday 13 September 2017 at the prestigious Montcalm Marble Arch, London. Tickets for the event are now available, and can be purchased here or by contacting Elle Kersh on 01706 828 855. Apply for your place at Benchmark Search Conference 2017 to get practical, profitable ideas from search marketing innovators who are at the top of their game. Learn how they’re shaking things up at their own brands as they discuss their success stories and share the latest strategies and techniques. A new awards for 2017 that celebrate and reward excellence in apps developed in the UK. There are 29 categories rewarding exceptional design and UX in a range of verticals and awards for agencies, individuals and in-house teams. You can find out how you can get involved and enter here. Entries close on 22 September 2017. Don’t press the panic button yet! You’ve still got time! With one week to go, the US Search Awards 2017 entries are open until the September 8, 2017. The US Search Awards, in association with our headline sponsor Bing, celebrates and rewards the very best in SEO, PPC, Digital and Content Marketing in the US. There are 29 categories open for entry – you can find out how you can get involved and enter here. Don’t Panic is a full service events agency that specialise in seamlessly delivering all aspects of awards, conferences and more! We pride ourselves in producing innovative and profitable events, based on our strong relationships, attention to detail and unique approach. From awards dinners to annual conferences, international exhibitions to experiential projects, we are the cool, calm events collective. The calibre of a presenter is critical to the welfare of an event. A funny, enlightening, or motivating after-dinner speech will make an award ceremony live long in the mind. A credible DJ will get an audience jiving into the wee small hours. Matching the wrong personality to the wrong audience is a tragedy. Don’t Panic. If you need a peer-approved keynote speaker, a conference or panel chair, an MC, a host, even a Voice of God, we manage a diverse roster of regional and national personalities, public speakers, and thought leaders from business, technology, politics, academia, and the arts, to help you with your event planning. Contact Sarah Power, Speaker Bureau Manager on sarah.power@dontpanicprojects.com for more information.